I am AngryJellyfish, rabid anime fan since 2005. I am from Wales, in the UK (NOT in England, no matter how much Negima insists otherwise). But who cares about that, onto anime! I didn’t really have any hobbies before anime. I must have done SOMETHING for entertainment all those years beforehand, but whatever it was I’ve forgotten. It was my birthday, and I was visiting relatives in Reading (which IS in England). I was given a lot of money, and (having no other worldly desires at this point) was wandering aimlessly around a Waterstones bookshop, hoping to find something worth spending it on. Then, I saw this. CLAMP, I am eternally grateful for your amazing artwork, which was unlike anything I’d ever seen before. I bought the first volume there and then, read it in an evening (despite my best efforts to make it last), then quickly rushed back to the city and bought a load more volumes before I could be dragged back to the remote, barren, manga-free wastelands of Gwynedd. That birthday was in July, and when September arrived and I went back to college, the first thing I did was order a load more volumes on my newly set up Amazon account (I didn’t have internet at home back then). As I gained more money, I began purchasing anime DVDs too, but manga remained my main fix until I started university. There, I joined the Aberystwyth Anime Society (AberAnime for short)… and I couldn’t have had a better introduction to the world of anime. Screenings in my first year included series such as Gankutsuou and Gokusen. An abstract, dramatic, sci-fi take on The Count of Monte Cristo, and a comedy series featuring a yakuza school teacher, her class of delinquents, and a talking dog. Needless to say this really opened my eyes to how diverse anime can be – series about baking bread, gondolas on Mars, robotic maids, anime about making anime… there is so much out there, and once I realized this, there really was no going back. I spent virtually all my free time watching anime, made it onto Aberanime committee in my second year as Welsh Translator, later became Secretary… and now that I’ve left, they’ve given me the honourary title of ‘Eternal President’. Which hasn’t inflated my ego one bit. Nope, not at all. The Student Room’s Anime Society is my home on the internet – I am the society’s leader (largely in name only, about all I do is approve new members and send out welcome messages). While it is a forum primarily targeted at UK students, feel free to sign up regardless of where you’re from or what stage in education/employment you’re at, because you wouldn’t be the first. 😛 We’re an awesome group, always glad to welcome new members, so drop by if you have time. Anime-Planet is where I keep track of my viewing, so feel free to add me there if you have an account, or if you don’t, why not sign up for one? I used to write synopses and upload screenshots for their anime database (here’s one example), and was even a moderator on their character database for a short while (I like faries), but haven’t done so since finishing uni. Hey Jelly, I want to add you to my blog roll I’m building. I like your blog. 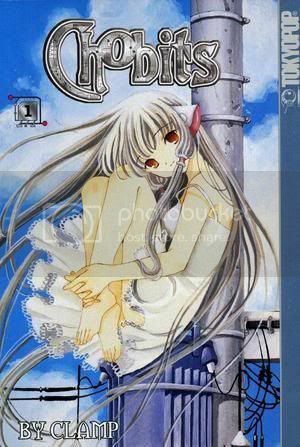 Sorry couldn’t resist… Chobits? I see that pop up often enough so maybe I should get around to watching/reading it. Also, who is the character in your gravatar? Yes, I’m Jelly! 😛 I’m surprised you’re the first to say that to me TBH. The character in my Gravatar is Watarase Jun from Happiness! I’ve used the character (among others) on various sites over the years, but recently decided to settle on just Jun as a running theme. Specifically, Kashiwamochi Yomogi’s fanart, which I think looks awesome. Jelly I haven’t heard of you before. Have to get all the lame pun’s out of my system, can’t help it, lol. CLAMP certainly had a strong influence on me when I first started as a fan, and I’d be lying if I said they don’t influence me now as well *has xxxHOLiC, Chobits, Clover and TRC posters on his wall, most of the manga volumes for those series, the Chobits GBA game, not to mention a lot of their works’ anime adaptations…* I’ve not read the manga for Kobato or Rayearth yet, but I’ve nearly finished a lot of the series I’m currently collecting, so I’ll look into them as possible series to start next! Oh oops sorry i didn’t read it properly…so your from gwynedd..
Nice to know I’m still remembered! I still have the necklace you sent me years ago on my shelf. 🙂 I still listen to Hubba Hubba Zoot Zoot every now and then too, partly because of the nostalgia, but also because I’ve still not found many better AMVs even after all this time! TSR has changed a lot in terms of look – just yesterday they added this annoying sidebar with customizable widgets to every page… that probably doesn’t mean anything to you, but suffice to say it’s annoying! In terms of people, Jonah Ramone stopped posting in January, which I think makes me the only remaining active one of the old Artemis Fowl Movie Update group. These days I mostly live in the Anime Society threads, which are also a little less active than they used to be. I still enjoy posting there though, it’ll take more than annoying widgets and thread killing to stop me! I associate ‘Hubba Hubba Zoot Zoot’ with the name ‘AngryJellyfish’, lol. My friend googled it for no reason other than me mentioning you linked me the AMV and he was like “look! a blog!”. Apparently you’re the first link when you google ‘angryjellyfish’ so…well done you! Haha. I thought I’d say hello! I still have your random welsh dragon keyring in my room, and like a year or so ago I was cleaning out a hard drive and found some edited pokemon cards for the AF Movie Update thread members. ‘Liquor’ kept coming up, if I remember correctly. It certainly brought back memories. xD n00b burning and all that good stuff. I’m actually still in touch with ‘Jonah Ramone’ and ‘Captain Scarlett’ (Glen and Sean). I have them on Facebook, although I’ve temporarily deactivated my account so I can graduate. Haha. Too much distraction. Are you on Facebook? Also, thread killing! More memories. Haha. I’d forgotten about n00b burning! I remember plenty of other things though, like the cards. And I’m pretty sure it was Kestral/Kezzy that we associated with booze more than anything. Many thanks, looks like a relatively easy but fun topic for a post. 🙂 I do owe another blogger a reply for a Liebster award nomination from way back, though, so I’ll see if I can do both this month!